Organizers of the 2nd annual Laotian Educational and Recruitment Conference at California State University, Fresno tomorrow (Saturday, Feb. 17) hope their efforts will motivate more members of the local Laotian community, particularly parents, to embrace higher education for their youth. The conference is from 10 a.m. to 3 p.m. in the University Business Center. 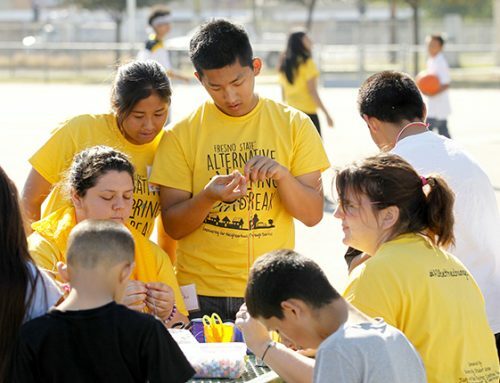 “The goal is to start getting mainly the parents to take part in what their kids are doing,” said Phong Yang, a counselor with Fresno State’s University Outreach Services, which handles student recruitment and sponsors several such events throughout the year to help underrepresented students get into college. “The students, mostly from high schools, and parents will spend one day learning about leadership and education as well as parents’ role in their children’s education,” Yang said, noting that 178 Laotian students are enrolled at Fresno State. Enlisted to help inspire the students is Prany Sananikone, director of diversity relations and educational programs in the Office of Equal Opportunity and Diversity at the University of California at Irvine. At Irvine, Sananikone develops and oversees staff development training, especially in the area of diversity and cross-cultural communication in compliance with the state and federal affirmative action mandates and guidelines. Before joining the University of California, Sananikone worked extensively with community-based/non-profit organizations, developing educational and social services programs for refugees and immigrants. He teaches at the Stanford Institute for Intercultural Communication every summer. He is also a management training consultant for agencies and companies, both nationally and internationally. He has bachelor degrees in Education and Community Development and a master’s degree in Communication: Strategies and Planning, all from the University of Hawaii. In addition to University Outreach Services, the event is sponsored by Southeast Asian Services, Associated Students Inc., California Health Collaborative and Lao Student Association. For more information, call 278-2048.